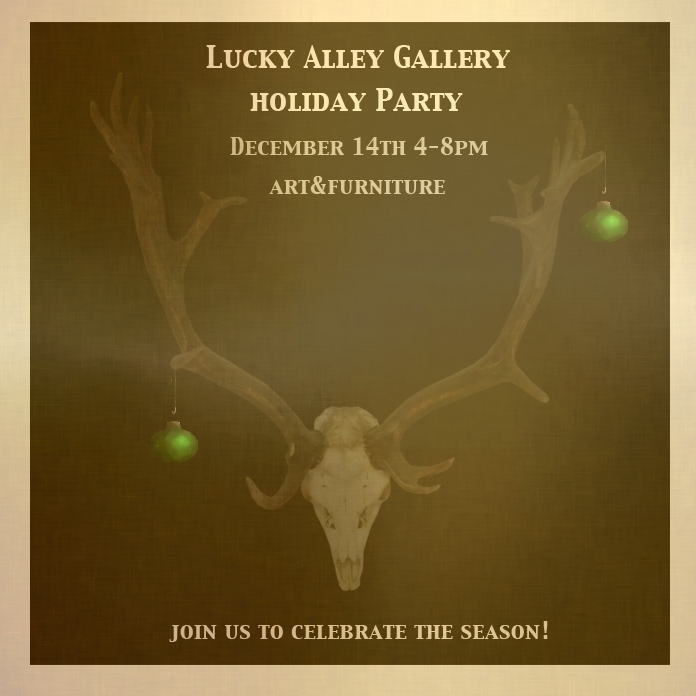 Lucky Alley Gallery is ready for the holidays! 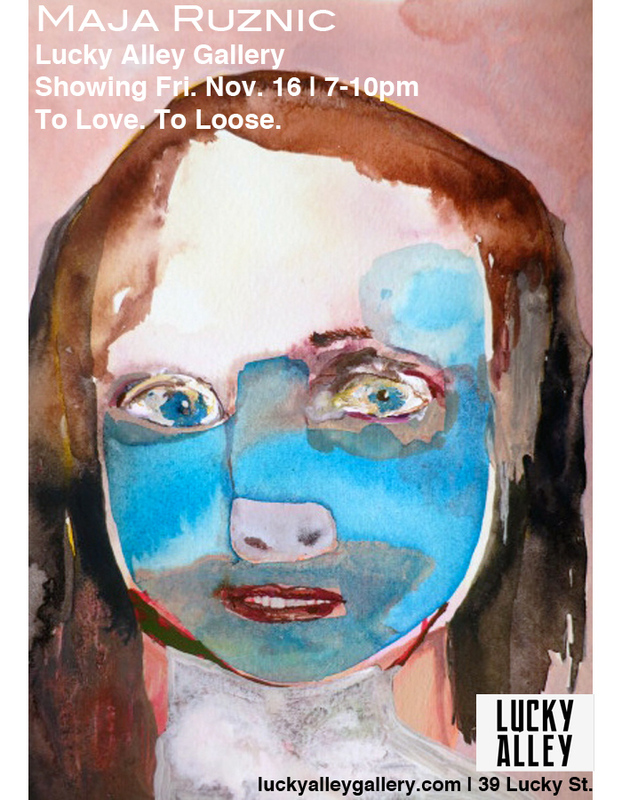 and Closing Reception for our featured artist, Maja Ruznic, for her series “To Love. To Lose”. These paintings are records of meditations on my relationship to loss. Everyday, someone looses something–something small or something great: a set of keys, a loved one. Natural disasters cause people to loose their homes and wars break out leaving people without their homeland. Relationships do not always workout and people are left with deep longing for the other. This body of work explores our relationships and attachments to people, places and things. The paintings hold remnants of moments and memories that have left an impact on me. Maja Ruznic was born in Bosnia & Hercegovina in 1983. She studied Psychology and Art at UC Berkeley and received her MFA from the California College of the Arts in 2009. Ruznic came to the United States as a refugee in 1992 and currently lives and works in San Francisco. Ruznic’s paintings, drawings and performances explore memory and how it shapes our understanding of reality. Her work was featured in the cover of New American Paintings, Pacific Coast section No.97 in 2011. 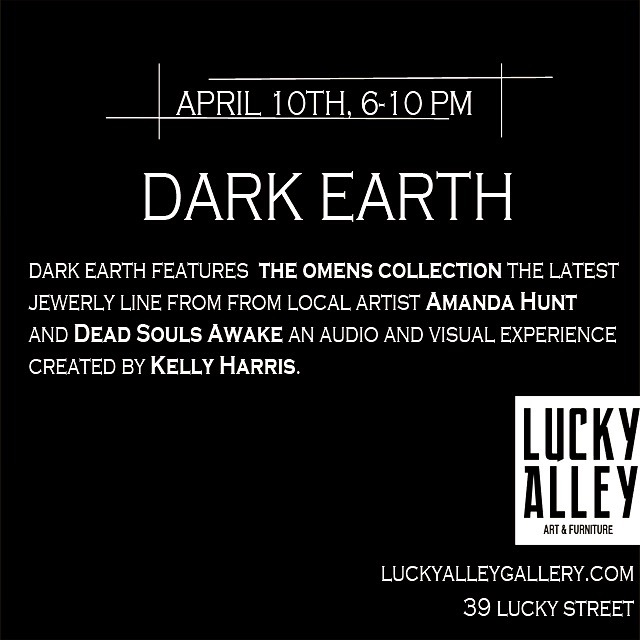 She has exhibited nationally and internationally and has shown her work at Arttransponder Gallery in Berlin, Trailer Park Proyects in Puerto Rico, Southern Exposure, Hang Art, Michael Rosenthal Gallery, Arc Gallery and Alter Space. Hi, I’m interested in purchasing the chairs I saw online. 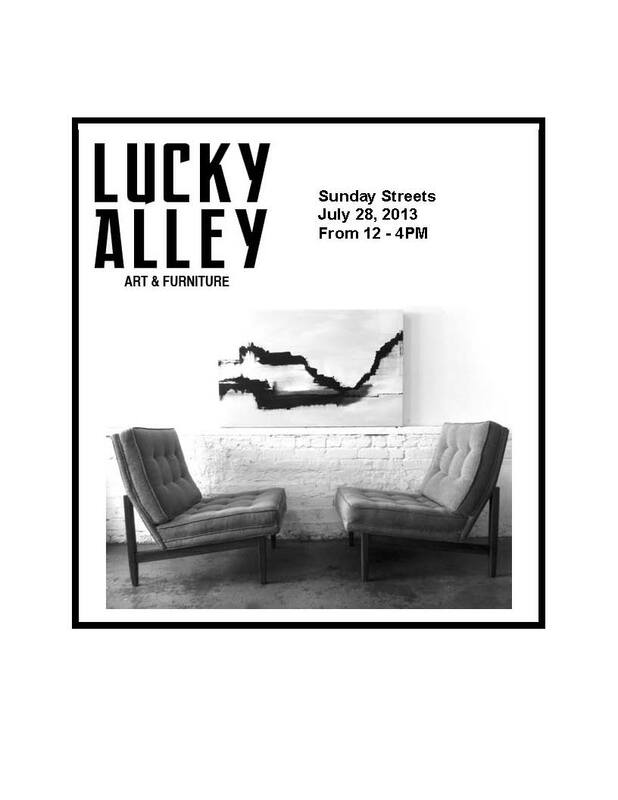 I’m located in SF and interested in seeing them in person. Thank you so much for your interest! The Folke Ohlsson chair sold, I have not had time to update our site, I apoligize. I will have another pair coming in shortly, a bit different in style but gorgeous. Please check us out on Facebook and Instagram as I tried to update those sites regularly.